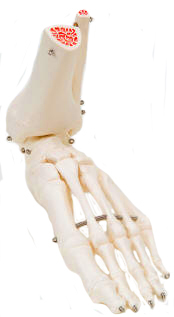 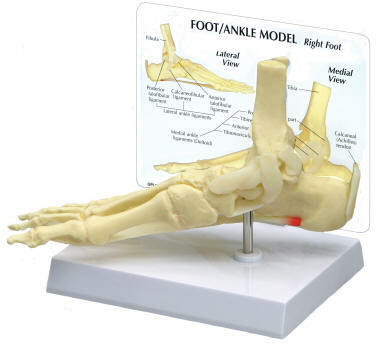 Highlighting the skeleton of the human foot and ankle. 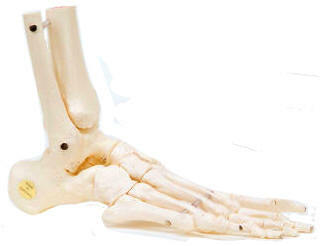 Be sure to also see Muscular Foot Models that show not only bones but muscles, too. 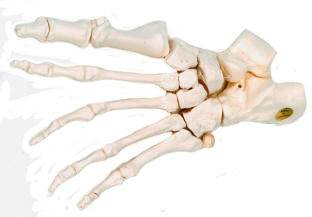 Many also show ligaments, tendons, nerves and arteries.